Your transfer matters. Whether you’re coming from down the street or out of state, we can help you transfer to any Indiana University campus and finish what you've started. 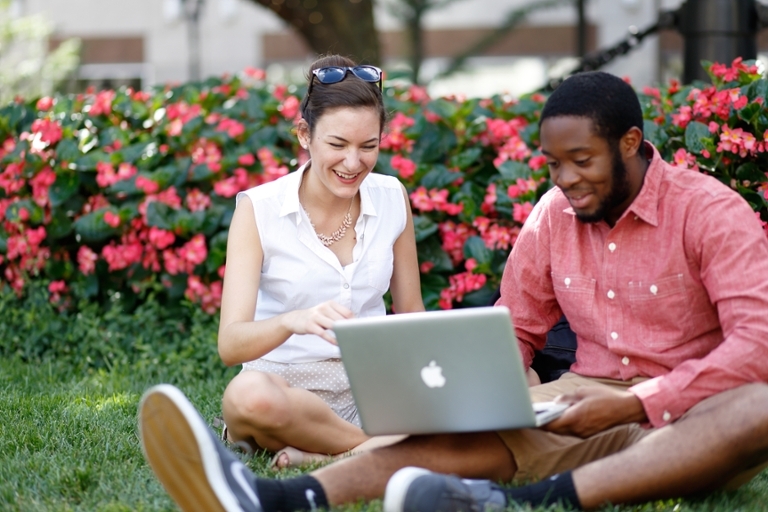 Learn how your credits will transfer from other institutions or find admissions requirements and information about how to apply. There is an accessible text version of this document. 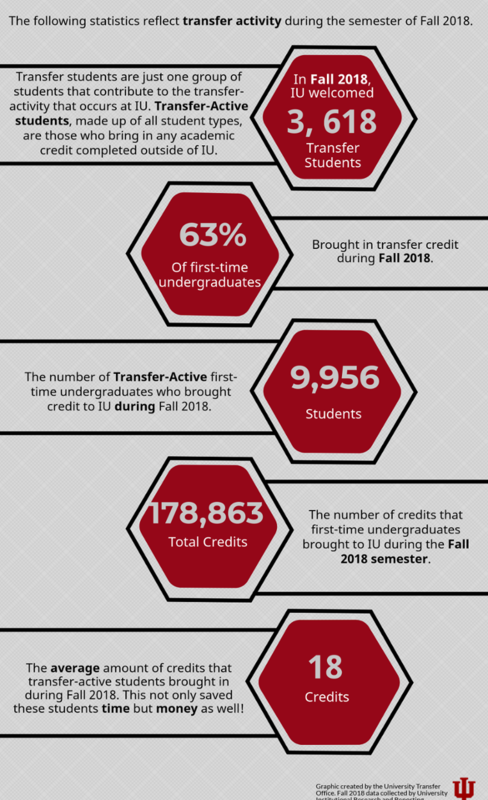 Check out news from Indiana University and events for current and prospective transfer students! If you have applied to IU and been referred to a different institution to satisfy admission requirements, you have options. 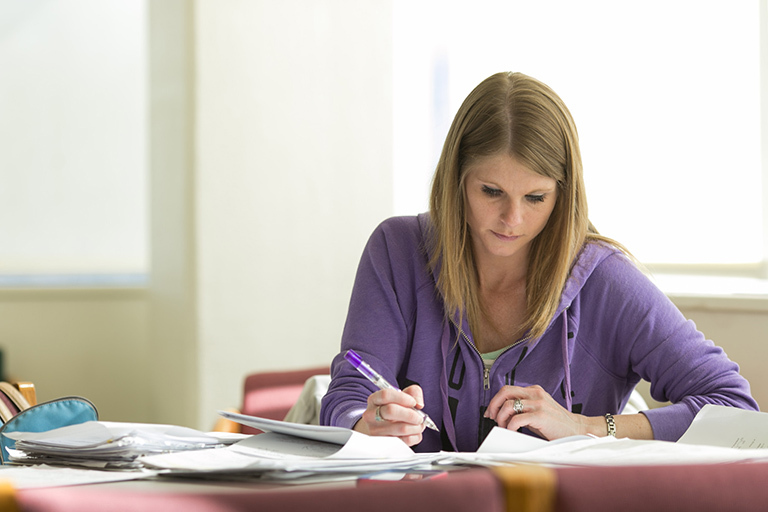 You may be able to return to IU through a guaranteed admission pathway. The University Faculty Council has voted in a policy update, ruling that credit earned at two-year degree-granting “associate’s colleges” (per Carnegie Classification) will not substitute for 300-400 level courses at IU.